Joanna Gaines announced her new son's name in a Saturday Instagram post, writing "he made an unexpected (and speedy) entrance into the world two and a half weeks early"
Chip and Joanna Gaines, the HGTV-stars based in Waco, Texas, have announced the birth of their fifth child, Crew. The new addition to the family joins their other kids: Drake, 13, Ella, 11, Duke, 9, and Emmie Kay, 8. Joanna announced her new son's name in a Saturday Instagram post, writing "he made an unexpected (and speedy) entrance into the world two and a half weeks early." 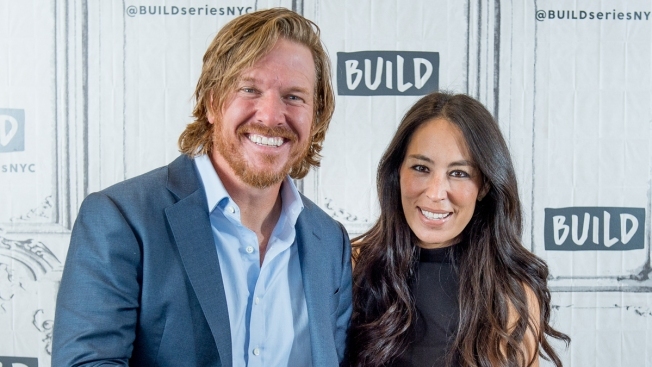 The "Fixer Upper" stars announced in January that they were expecting baby number five. Chip revealed in March that Joanna was pregnant with a boy. She has said her pregnancy was not planned. The couple celebrated their 15th wedding anniversary last month and wrapped up the fifth (and potentially final) season of "Fixer Upper" earlier this year.